The Eclipse T42 UniPro/UFS protocol analyzer and Eclipse M42x UniPro/UFS protocol analyzer/exerciser platforms offer design and test engineers and system integrators a robust and cost-effective approach to test UFS, the current storage media standard in smartphones, tablets and embedded systems such as heads-up displays (HUD) and advanced driver-assistance systems (ADAS). The Eclipse Protocol Analyzer and Analyzer/Exerciser platforms include fully-featured Gear 4 Analyzer and/or Exerciser and, when paired with the UniPro M Series Protocol suite, provide a robust system for the generation, capture and analysis of UniPro/UFS traffic. The latest version of UFS enables the benefits of more than 2x the storage bandwidth and increased capacity while reducing power consumption. Designs incorporating this new technology, however, must be tested before they are released. Until now there have been few elegant and inexpensive options for engineers to debug, measure performance or ensure compliance prior to product release. Now, design and test engineers can turn to the Eclipse T42 for support of MIPI® M-PHYSM High Speed (up to Gear 3 or Gear 4) implementations at an economical price point. 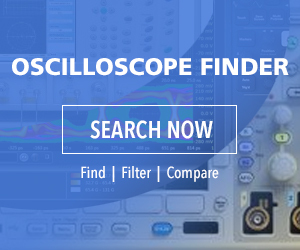 Features include a x2 Multi-Lead solder-down probe or SMA/SMP probing allows users to capture and visualize UFS 3.0 data structures; and an easy-to-use software application that affords deep analysis of the MIPI UniProSM and JEDEC UFS protocol layers. Using the UniPro M Series Protocol suite’s advanced software, the Eclipse T42 or Eclipse M42x can automatically identify and evaluate millions of packets, transactions and complete protocol sequences for conformance to the specification. Complex transactions such as power-mode changes and Link Startup Sequence events can be automatically analyzed many times, finding issues that even an expert engineer might miss. Eclipse T42 protocol analyzer enables triggering, filtering and searching of the UniPro/UFS layers using unlimited bookmarks, traffic overviews and event views, allowing users to quickly navigate to areas of interest. Protocol Listings, packet specification decodes, and raw, low-level data views give engineers a deep understanding of the UniPro/UFS traffic. An exerciser option allows engineers to verify the circuit’s ability to recover from errors, emulate corner case scenarios and ensure compliance to the standard. The Eclipse T42 and Eclipse M42x fully support a range of specifications including MIPI M-PHY v4.1 HS-G4, MIPI UniPro v1.80,JEDEC Universal Flash Storage (UFS) v3.0 JESD220D, MIPI UniPro Conformance Test version 1.80 and the JEDEC JDS224A Universal Flash Storage (UFS) Test Version 1.1.